Khao Soi, coffee, and yoga - that was the mission. Our trip was off to a rocky start. It would have been easier if we had airline woes to blame for our foul moods. Instead, we found ourselves laying in bed, jet-lagged and depressed, watching the US electorate set itself on fire while dark clouds outside our hotel window unleashed a torrential downpour. I couldn't help but wonder, how long would it take for these ripples to make waves overseas and force us to pull the parachute on our multi-month adventure overseas? Would our banks accounts spontaneously combust leaving us stranded in Thailand? Come to think of it, is there a better place to be stuck than Chiang Mai? I'd been hyping up Chiang Mai for so long that I worried it wouldn't live up to my memories. A Chinese visa blunder three years ago had forced me to buy a cheap ticket from Hong Kong to Chiang Mai. It wasn't until I bought the ticket and was struggling to find accommodation that I found out I was arriving during the annual Loy Krathong & Yi Peng festival. It was a stroke of luck that I'll never forget and an experience I really wanted to share with G, especially since she found me that fortunate flight out of HK. The city offered plenty of distractions from all the depressing news overwhelming our feeds. Khao Soi, coffee, and yoga - that was the mission. We embraced the escapism offered to us by a city full of beautiful temples and delicious food. We tried to recreate the ideal routine that I had established during my first visit. Wake up, fresh fruit, yoga, market breakfast, scenic meander, khao soi lunch, coffee shop heat escape, sunset temples, night market street food, cheap beers with new friends, foot massages, sleep, repeat. My memories were not disappointed. We spent the first couple of days in the city's Nimmanhaemin neighbourhood eating our way through The Guardian's Chiang Mai essential street food list and planning our upcoming adventures from the comfort of Ristr8to's fancy cafes. We even managed to find a yoga studio near our airbnb that was in the middle of its teacher training exams so we got free yoga in exchange for giving feedback at the end of the class. 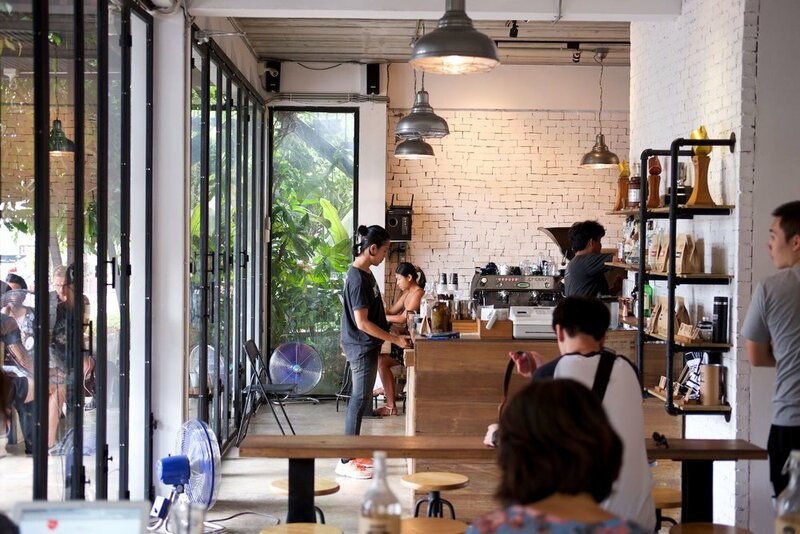 Nimman is a popular spot for young expats and university students. 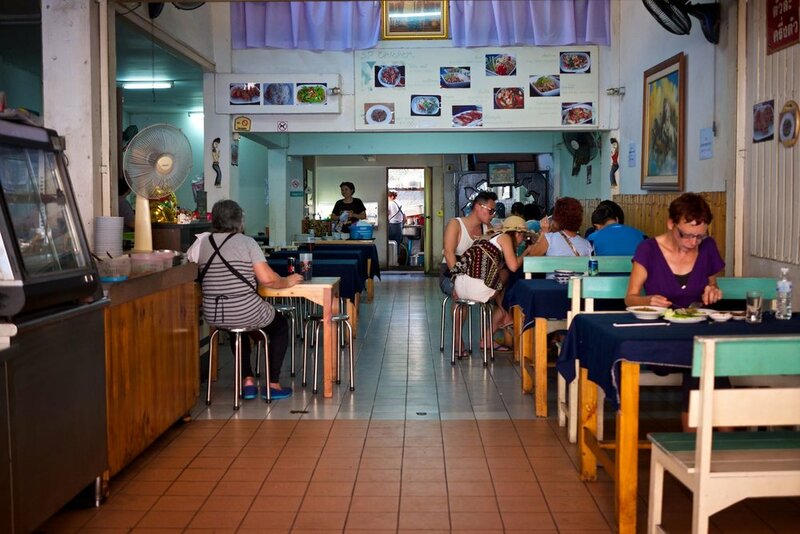 It gives you the impression of being a little Bangkok attached to the old city of Chiang Mai. Nice restaurants, hipster cafes, fancy malls, and co-working spaces filled its blocks, but all at the cost of excrutiating traffic jams. After a few days of living like Chiang Mai expats, we moved closer to the Tha Phae gate area in preparation for the festival. Our flashpacker hostel was perfectly nestled down a quiet alley and within easy walking distance to the best fruit stall in the Ming Muang Market, Blue Garden Yoga, and the river banks where the festivities would take place. Loy Krathong and Yi Peng are often referred to as the "lantern festival" but they are actually two different holidays celebrated around the same moon cycle. Loy Krathong is celebrated by floating a candle down the river to wash away your karmic sins while Yi Peng is celebrated by lighting a paper lantern and sending it into the heavens with your wishes for the year. Like most ancient religious festivals, their meaning and history are debatable, but there is one thing that's certain: the visual effect is magical. The river is lit up with Krathongs and the sky is filled with paper lanterns. This year's festival was very tame compared to the one I visited three years ago due to the king of Thailand having recently passed away. There was a ban on live music and fireworks were forbidden. I think G was happy about the latter after I told her stories about people shooting fireworks at each other and trying to hit lanterns out of the air. The muted celebrations didn't take away from the indescribable majesty of a sky and river filled with a seemingly endless parade of lights. After three days of festivities, we slurped down our last bowls of khao soi and bought bus tickets up to Pai to check out the backpacker haven that we'd heard so much about. In a way, it was exactly what we'd hoped for at the same time as being exactly what we'd feared. It was like a vortex for lost souls who wanted to find a piece of rural Thailand without any of the discomforts of rural Thailand. It's the type of place where motorcycle rentals are cheap, but so is the emergency room consult where they bandage up the legs of people who don't know how to ride motorcycles. But for all its faults, it is a stunning place to escape the heat in the mountains, drive around rice paddies, swim in hot springs, eat good food, and listen to live jazz performances from your hammock. Each night, we ended up at the same bar that proudly displayed signs saying "we do not serve dirty hippies" and "no stupid farangs" while playing old Motown classics in order to "select for the right crowd," according to the owner. Pai got old pretty quickly, especially since G was not a fan of driving over-powered motor scooters on the left side of the sandy mountain roads, so we made the journey back to Chiang Mai and got on the overnight train heading south to Bangkok where we'd fly further south to go diving.